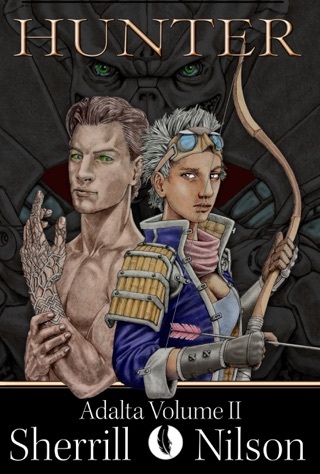 Karda––the newly illustrated first book in the fantasy/sci-fi series Adalta with technophobic humans on a living planet, majestic hawk-headed flying horses, a power struggle between brothers, and a plucky female hero who must learn to tap into powers she never knew she had––powers that scare her––to save the place and the people she comes to love. 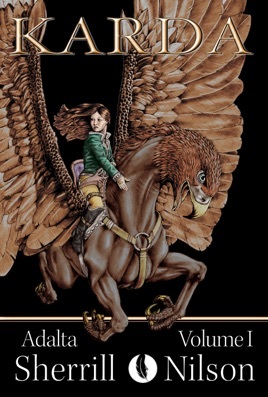 Marta, a sword-swinging girl who rides an incredible flying hawk-headed horse meets Altan, the arrogant young aristocrat in a high-tech-space-girl meets elemental-magic-wielder on a lost planet colonized centuries before by refugees from Earth. Secretly sent to the planet Adalta to assess its resources and trade potential, Marta knows her job. And she knows she can’t get attached––she’s not staying. Then she meets her Karda, the wondrous flying creature she grows to love. And Altan, the arrogant aristocrat with strange elemental powers. It can’t be magic, can it? When Altan rescues her from a blood magician’s murder attempt, suddenly he and Marta can speak telepathically. However hard she fights it, and however often she repeats her mantra, “Don’t get attached,” she does. Author Sherrill Nilson used to raise horses. Now she writes about flying horses. An exceptional new writer. Fast paced, well written. Refreshing storyline. I didn’t put this book down; read through the night. Will certainly watch for the sequel. And for future sequels! Kudos!! Great read!